Custom fonts for your fanlistings. Firstly, choose a font. You may take one from your Windows “Fonts” folder or download it from the Internet. There are a plenty of websites with free fonts in the web, such as google.com/fonts, www.dafont.com and others. 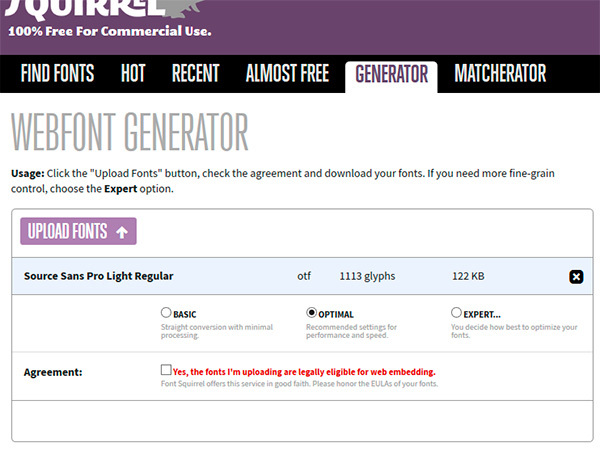 For the purpose of this guide, I’m going to use a font called Source Sans Pro designed by Adobe, downloaded from Font Squirrel. So, visit one of these websites that I mentioned, download the zipped archive with a font (or fonts) that you prefer, and extract all files. You will probably get several font varieties from one archive. From those, choose a font style/variety that you like. 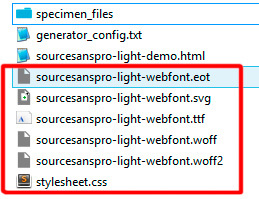 I’m going to pick SourceSansPro-Light.otf.